Building a new build house requires patience and dedication but the end results can be worth it. 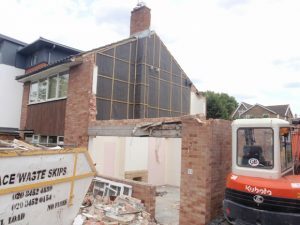 First you must secure a plot or an existing house to demolish. Then navigate the planning process, then procure and construct the dwelling. 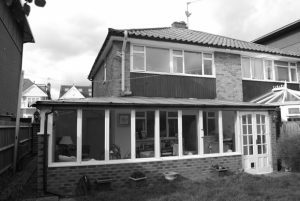 We were commissioned to design this 4 bed house to replace a dilapidated post war semi-detached house. 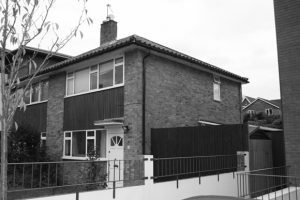 The new property is significantly larger the original house, over 3 floors and provides a contemporary yet contextual addition to this street in Balham, south London. 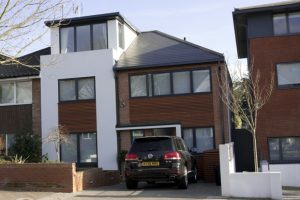 It was constructed with a mixture of masonry, steel & timber frame, and clad in a palate of brick, render and cedar cladding. It is also designed to be highly energy efficient.